phpMyAdmin is a free web software to work with MySQL on the web. It provides a convenient visual front end to the MySQL capabilities. Before working with phpMyAdmin, you need to have LAMP installed on your server. If you don't have the Linux, Apache, MySQL, PHP stack on your server, you can find the tutorial for setting it up here. 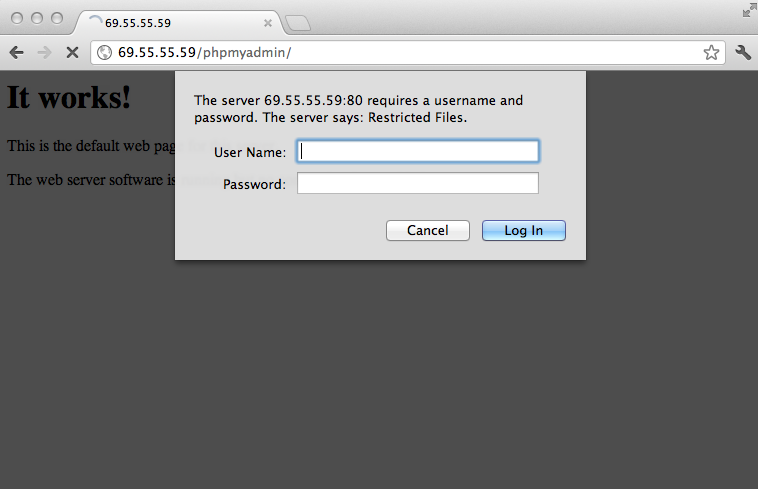 Once you have the user and required software, you can start installing phpMyAdmin on your VPS! You can then access phpmyadmin by going to youripaddress/phpmyadmin. The screen should look like this. Unfortunately, older versions of phpMyAdmin have had serious security vulnerabilities, including allowing remote users to eventually exploit root on the underlying virtual private server. One can prevent a majority of these attacks through a simple process: locking down the entire directory with Apache's native user/password restrictions which will prevent these remote users from even attempting to exploit older versions of phpMyAdmin. With the .htaccess file allowed, we can proceed to set up a native user whose login would be required to even access the phpmyadmin login page. Now we will go ahead and create the valid user information. phpMyAdmin will now be much more secure since only authorized users will be able to reach the login page. Accessing youripaddress/phpmyadmin should display a screen like this. Fill it in with the username and password that you generated. 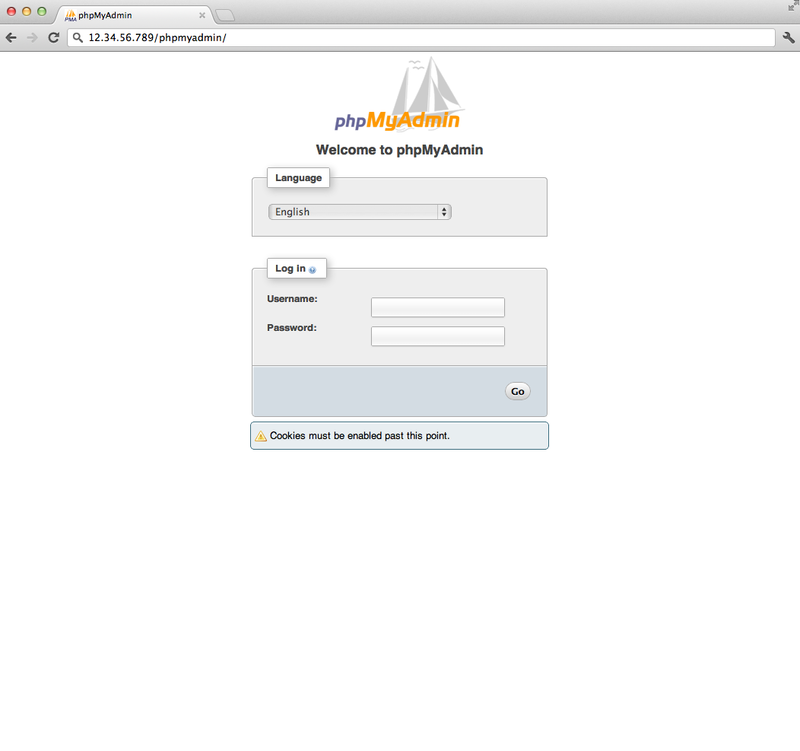 After you login you can access phpmyadmin with the MySQL username and password.